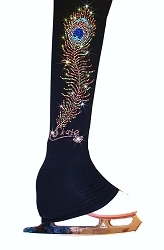 Ice Skating Pants with "Colorful Ina Bauer" rhinestone design. 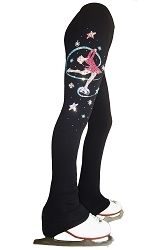 Warm and stretchy, polartec power fleece skating pants featuring over the boot style and unique and glamorous three colors Ina Bauer rhinestone design. Enjoy your practice and be the first to wear it!